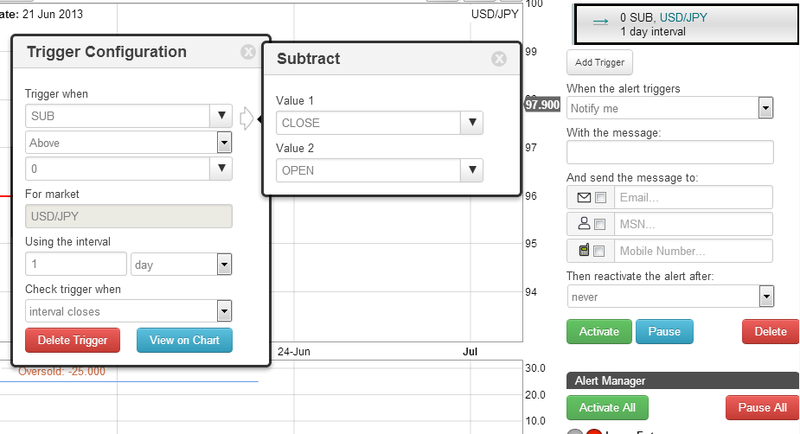 Timetotrade can be used to create alerts based on Candlestick Patterns such as Dojis, Hanging Man and Inverted Hammer. 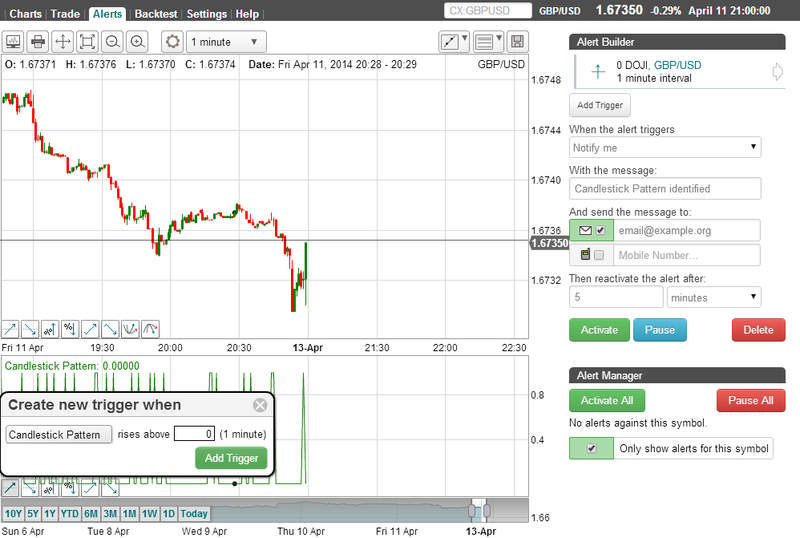 You can use timetotrade to notify you, or execute a trade (see below), when Candlestick Patterns have been identified. Use the chart settings to add the Candlestick Indicators. You can use timetotrade to build your own custom candlestick pattern alerts. 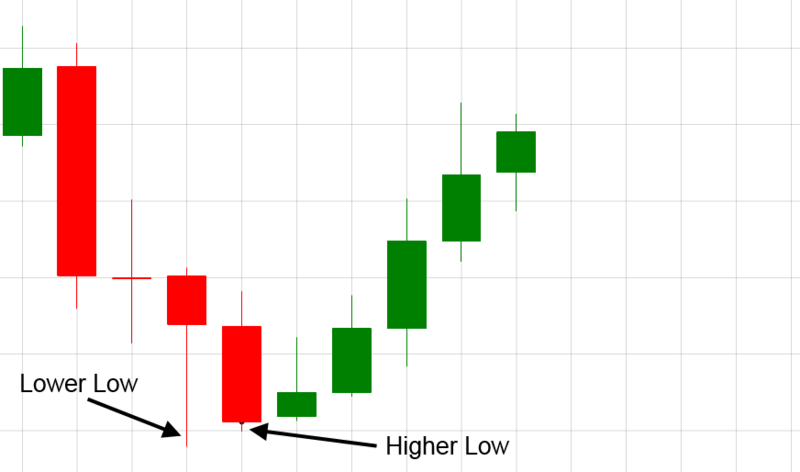 To ensure that common language is used when describing how to create alerts that can be used to identify custom Candlestick patterns, lets start by explaining what a candle is and the how it can be described. 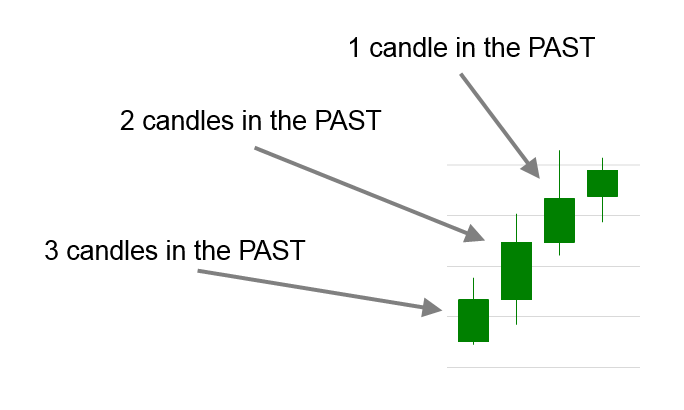 A candle represents the changes in price over an interval of time such as 1 day or 1 minute. The main body of the candle illustrates the opening price at the start of the time interval and the price when the market closed at the end of the interval. The head and tail represent the highest and lowest prices during the interval. The full length of the candle is often referred to as the 'Shadow'. The length of the head is the difference between the highest price during the interval and the greater of the Open or Close price. The length of the tail is the difference between the lowest price and the difference between lesser of the Open or Close price. The length of the body if the difference between the Open and Close price. Now to create some custom Candlestick pattern alerts. In this first example an alert will be created to provide a notification of when there are three bullish candles. If the close price is greater than the open price then the candle is considered bullish. 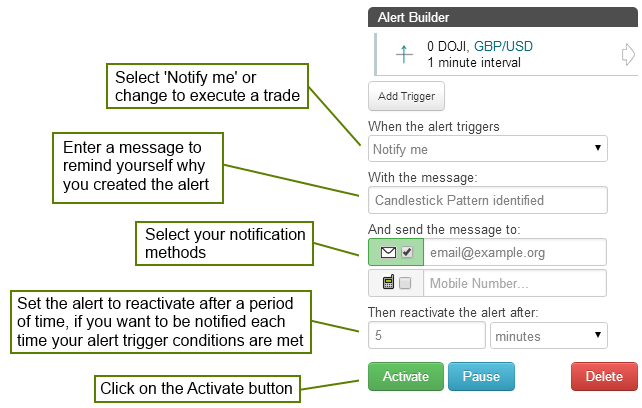 Three alert triggers can be created to test for this on the current and past candles e.g. 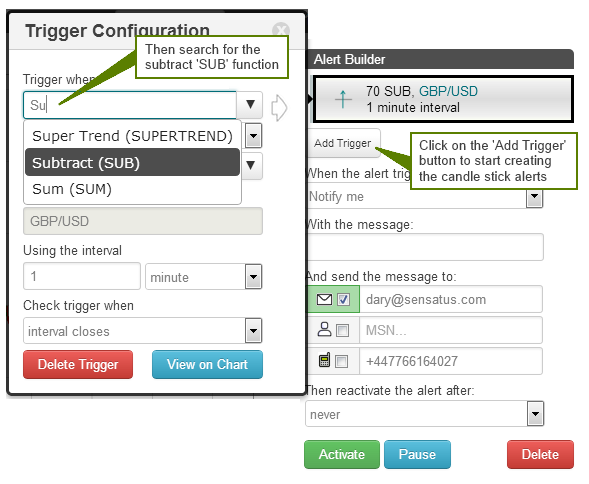 To learn more about how alert triggers can be grouped and sequenced click here. FREE Real-Time Price and Technical Indicator charts and alerts are available for Forex and high liquidity UK and European stocks. Click here to view the full list of markets available.